The event is hosted under the patronage of H.H.Shaikh Nasser bin Hamad Al Khalifa, representative of His Majesty the King for Charity Works and Youth Affairs, Chairman of the Supreme Council for Youth and Sports and President of Bahrain Olympic Committee. 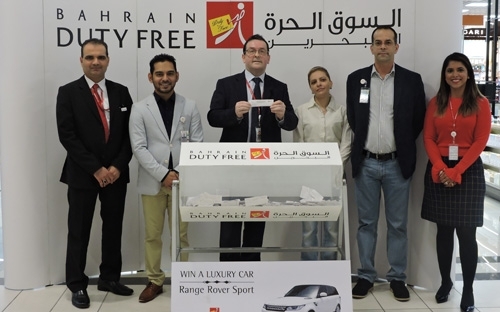 Mr. Khamis Al- Muqla President of Bahrain Tennis Club visited the Bahrain Duty Free offices at Bahrain International Airport and was greeted by Mr. Sujat Ameen (Head of Business Support at Bahrain Duty Free). Mr. Khamis Al-Muqla President of Bahrain Tennis Club wishes to extend his appreciation to Mr. Bassam Alwardi, General Manager of Bahrain Duty Free stepping forward as a sponsor for the event hosted by the Bahrain Tennis Club. 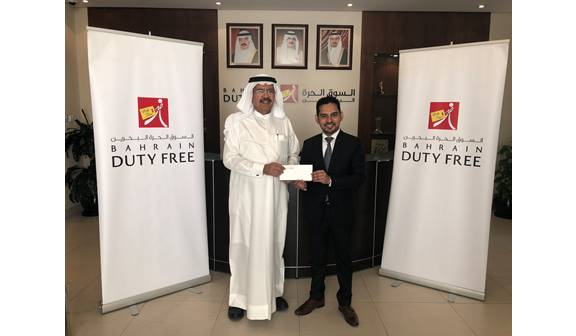 Mr. Sujat Ameen outlined that Bahrain Duty Free are delighted and honored to sponsor the event again, as supporting local initiatives in the sporting and cultural fields is a key aspect of the company’s CSR programme. Presently there are over 300 Players Men’s & Women’s according to the published Entry List by ITF comprising over 50 Nations. Bahrain Duty Free Shop Complex announced it’s financial results for the year ended 31st December 2017, approved by Board of Directors Tuesday, 20th February 2018. For the full year 2017, the Company reported Gross Revenues of BD 31,975,377 (BD 28,859,618 in 2016) achieving a 10.8% growth over prior year. Operating profits were BD 5,391,522, increasing by 12.7% from BD 4,783,832. Income from Investment activities was BD 1,699,775 recording a decline of 52.0% on the previous year’s figure of BD 3,544,480 due to a one-off dividend received in 2016 from one of our Investment activities. Net profits reduced from BD 8,328,312 to BD 7,091,297 a 14.9% reduction. Basic earnings per share are 50 fils per share compared with 59 fils in 2016. At December year-end, total shareholder’s equity stood at BD 49,950,527 a decrease of 1.6% over prior year figure of BD 50,771,096. In the fourth quarter of 2017, Sales were BD 8,508,156 up 16.0% on prior year while operating profits grew 29.9% to BD 1,253,766. Investment income declined by 101.1% to a negative BD 22,527 in the quarter. The decrease coming from a one-off dividend received last year. As a result, net income in Q4 was BD 1,231,239 down 58.4% on same quarter last year. Commenting on the results, the Chairman Mr. Farouk Al Moayyed, said that 2017 had produced excellent results with double digit growth in Revenues and Operating Profits. He went on to say that the Company has made important strategic progress to ensure continued success for the Company in the future. Managing Director Mr. Abdulla Buhindi added, that despite challenging Passenger numbers, sales growth had surpassed budget and prior year expectations. He went on to say that the Company’s excellent growth in sales and operating profits were a testament to the Company’s decision in 2016 to make a significant capital investment in renovating the shops at the Airport. Many new brands and initiatives were introduced in the Perfumery & Cosmetics area as well as a new Premium Watch boutique all contributing to the overall performance of the shop. 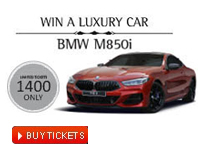 He concluded by stating that the Company remains focused on delivering first class customer service and unique shopping experience for all our customers. 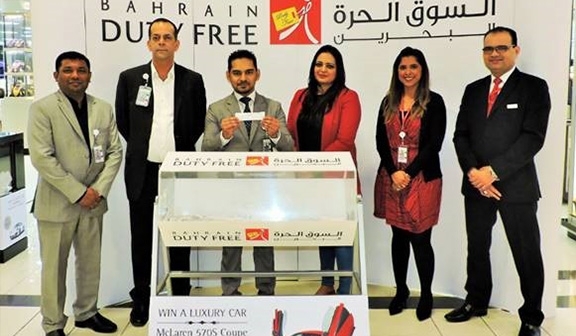 Pictured above (left to right) Mr. Shibu Abraham (Head of IT), Hisham Al Saloom (Deputy Head of Operations), Mr. Sujat Ameen (Head of Business Support), Ms, Saima Imran (Passenger), Mrs. Jean Silveria (Head of HR), Parvez Mushtaq (Shop Floor Manager). Pictured above (left to right) ) Mr. Dominick O’Reilly (Head of Operations), Sales Assistant, Mr. Bassam Al Wardi (General Manager), Mr. Dhandapani (Winner), Mr. Sujat Ameen (Head of Business Support), Mr. Dominic Carroll (Head of Finance), Mr. Shibu Abraham (Head of IT). 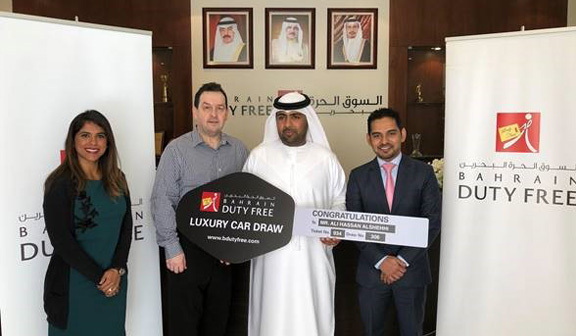 Regional travel retailer Bahrain Duty Free is once again taking to the skies as exclusive on-board supplier of inflight retail for Gulf Air. The new partnership with Bahrain’s national carrier went live on 1st August 2017, and is comprised of143products that offer Gulf Air passengers in-seat access to an exciting collection of on-trend gifts and travel essentials. 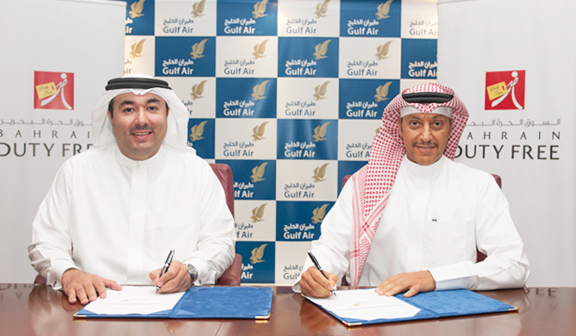 The official signing ceremony was held at Gulf Air’s Muharraq headquarters in the presence of Gulf Air Deputy Chief Executive Officer, Captain Waleed Abdul Hameed Al Alawi, Bahrain Duty Free General Manager Mr. Bassam AlWardi and representatives from both organizations. Leisure and business travellers choosing to fly to any one of the airline’s 42 global destinations acrossthree continents can now select from the extensive range.The range includes a vast array of world-class brands of fragrances and cosmetics. Passengers can also treat themselves to specially chosen ranges of jewellery or add a new watch or pair of in demand sunglasses to their accessories drawer. 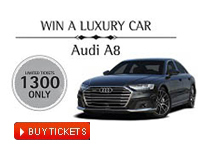 The range also includes some of the most up to date must-have electronic gadgets and the latest travel essentials. “Gulf Air is continuously working to enhance its incredibly successful product and service offering, and that extends to on-board shopping opportunities. 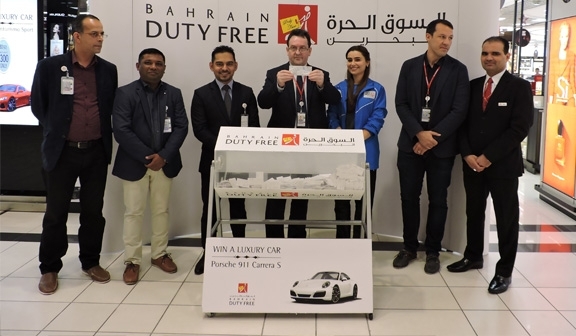 Bahrain Duty Free has worked hand-in-hand with the Gulf Air team to create an exciting collection of products that speak directly to passengers’ needs and desires,” said Bassam Al Wardi, General Manager, Bahrain Duty Free. “The inflight shopping experience is an intrinsic element of the on-board experience, and Gulf Air’s new product portfolio reflects its forward-thinking approach to the passenger journey evolution and our commitment to delivering tailor-made duty free retail solutions that engage passengers and drive sales,” he added. 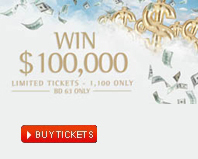 “As you can see from the range chosen for our passengers, there truly is something for everybody who flies with us. This is important for us as an airline, as we appreciate every passenger that chooses Gulf Air as their airline of choice” he added. 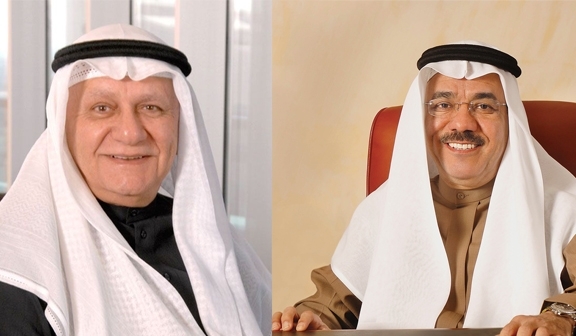 Bahrain Duty Free Shop Complex announced at a meeting of its board of directors on Tuesday 7th November 2017, the financial results for the nine months ended September 30 2017. Mr. Farouk Yousuf Al Moayyed - Chairman of the Board, stated that for the nine months ended 30 September 2017 the Company has achieved net profits of BD 5,860,058, representing an increase of 9.1% compared to last year's net profit of BD 5,370,744. Sales also grew 9.0% to BD23,467,221 compared to prior year’s sales of BD 21,524,861. The Chairman continued by mentioning that Shareholder’s Equity as at 30th September stands at BD 49,689,919 compared to BD 50,771,096 last year and earnings per share rose 9.1% to 41.19 fils compared to last year’s figure of 37.75 fils per share. In the three months ended 30th September, sales were BD 8,387,547 compared to BD 7,667,795 last year which represents an increase of BD 719,752 or 9.4%. Net profit of BD 2,245,336 recorded an increase of 10.5% compared to prior year quarter. Mr.Abdulla Buhindi – Managing Director, added that profits from Investments recorded an amount of BD 1,624,818 compared to BD 1,542,972 last year, representing an increase of BD 81,846 or 5.3%. The Investment portfolio increased by 19.9% during the year and now stands at BD 38,904,812. He went on to say that the Company’s upgrade of all shops in the departures area had a direct impact on the increase of sales during the year. He concluded by stating that the Company remains focused on delivering first class customer service and unique shopping experience for all our customers. © 2019 Bahrain Duty Free. All rights reserved.